From the studio behind 2010’s “Tangled” and this year’s “Wreck-It Ralph,” Walt Disney Animation Studios presents “Frozen,” the coolest comedy-adventure ever to hit the big screen. 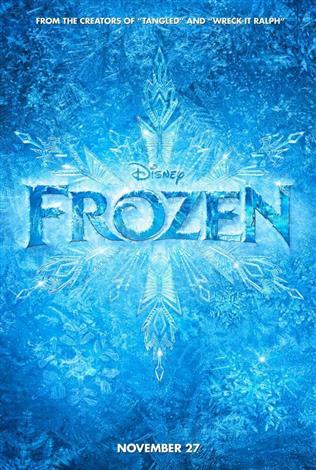 When a prophecy traps a kingdom in eternal winter, Anna (voice of Kristen Bell), a fearless optimist, teams up with extreme mountain man Kristoff and his sidekick reindeer Sven on an epic journey to find Anna’s sister Elsa (voice of Idina Menzel), the Snow Queen, and put an end to her icy spell. Encountering mystical trolls, a funny snowman named Olaf, Everest-like extremes and magic at every turn, Anna and Kristoff battle the elements in a race to save the kingdom from destruction.